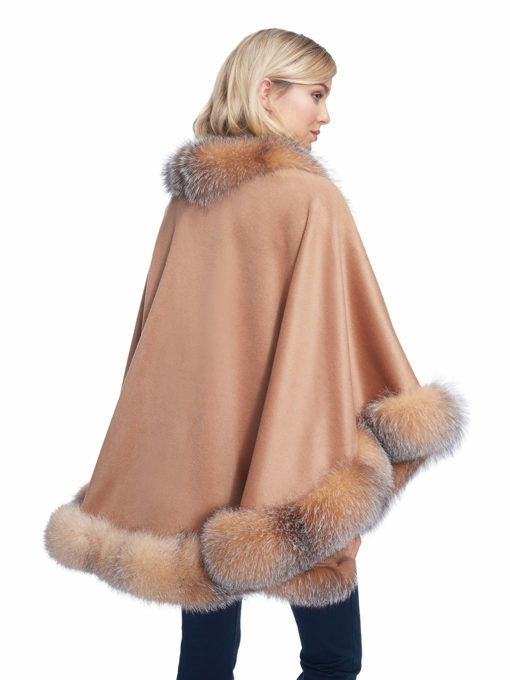 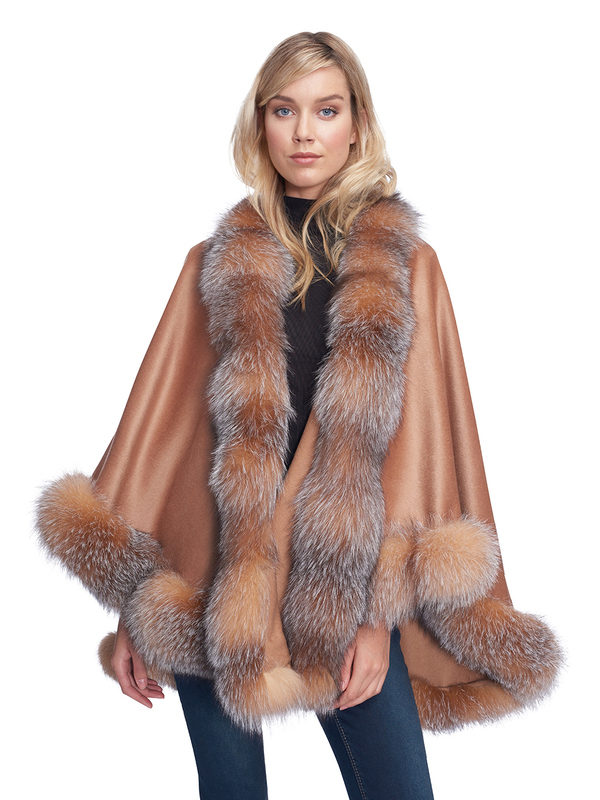 Be a showstopper in this long cashmere cape trimmed with genuine fox fur.Looking as elegant as ever this flowing cape will drape effortlessly over any outfit. 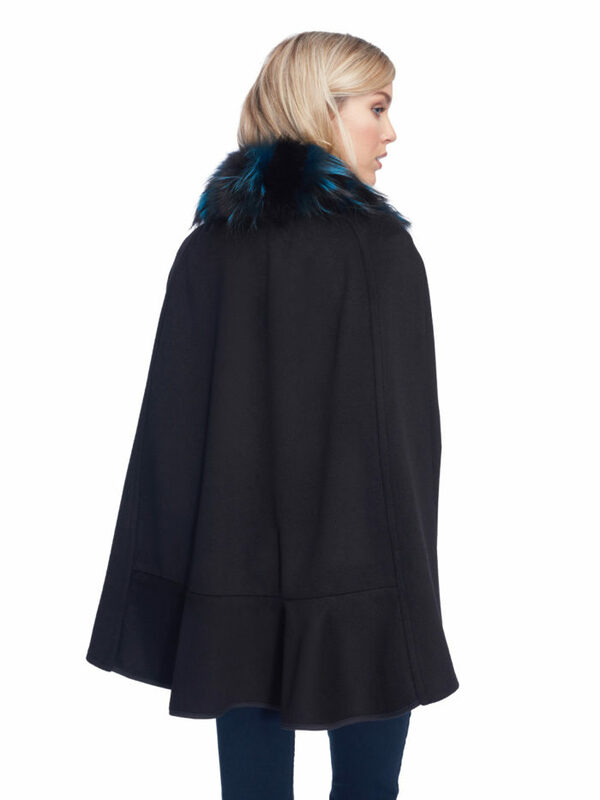 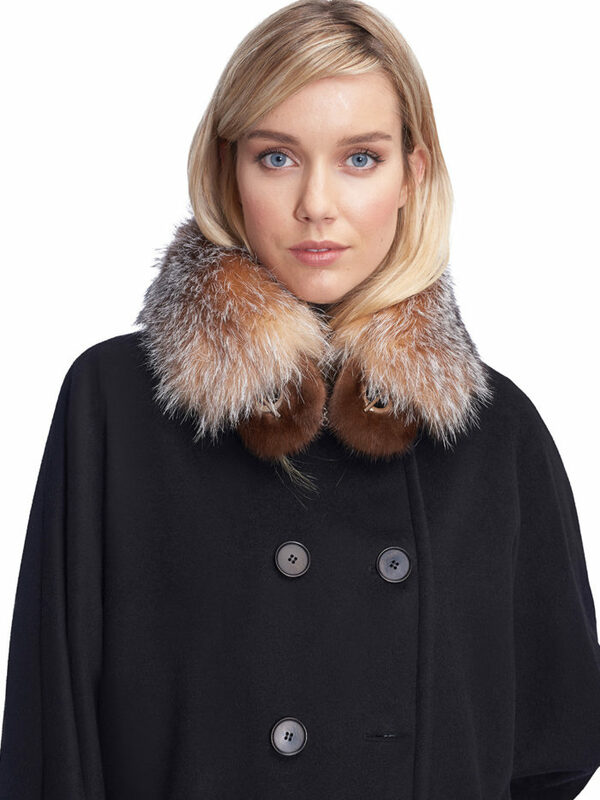 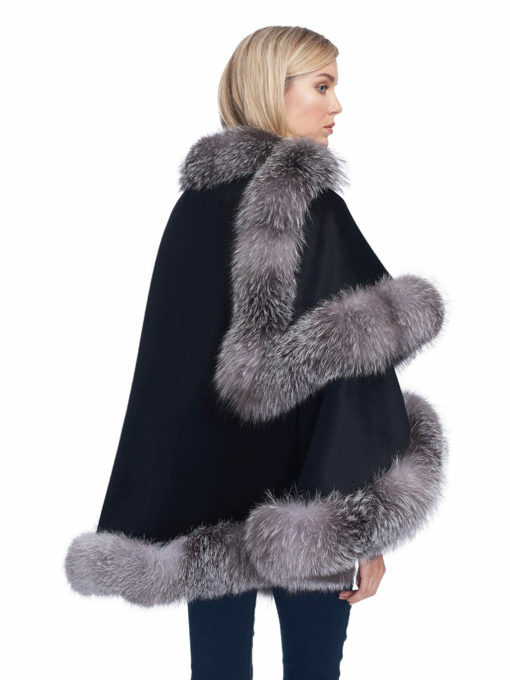 Stay bundled and beautiful as each quality cape is carefully handcrafted with long, lush fur. 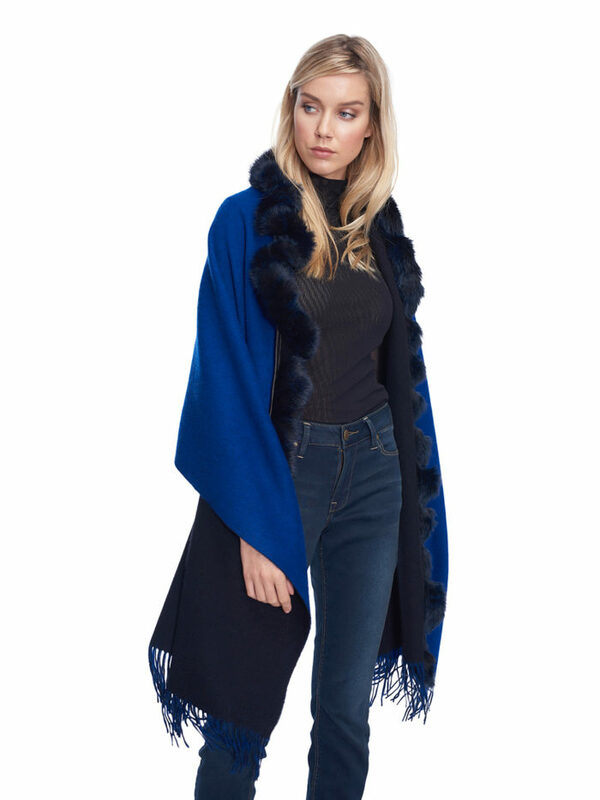 Any fancy occasions coming up in your calendar? 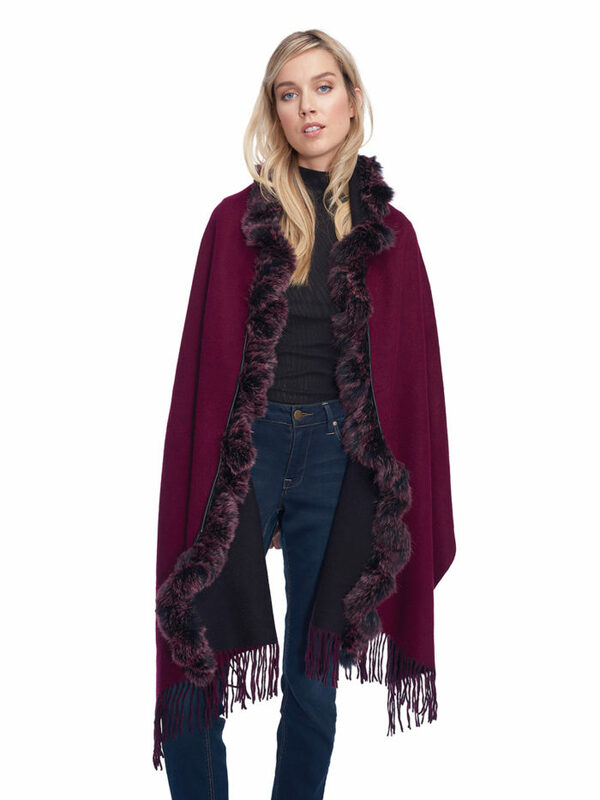 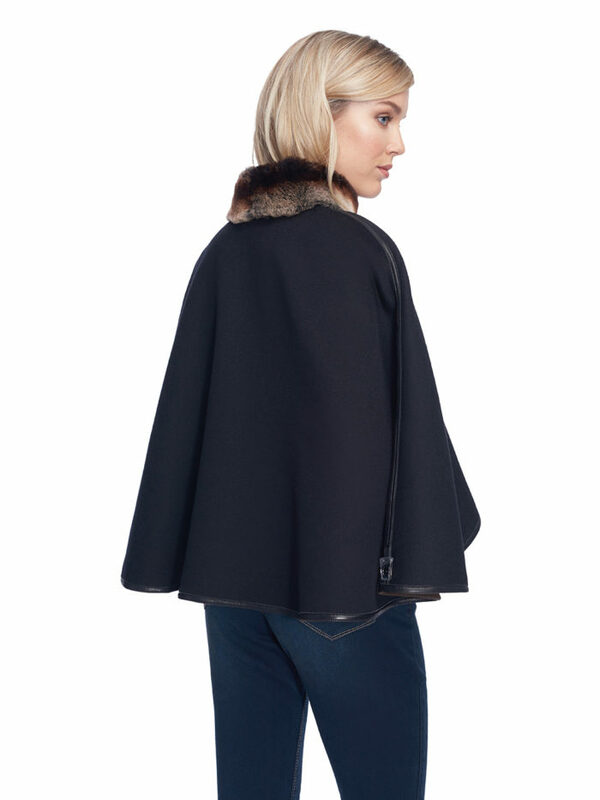 This cape is perfect but don’t be shy to also style it with your favorite pair of jeans for an everyday look.